Learn more about us and our assisted living community! 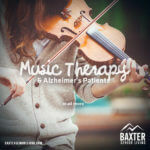 Once open and you’ve experienced Baxter Senior Living Community for yourself, you’ll come to know we pride ourselves on the abundance of choices we will offer to our Anchorage assisted living residents. Some will come to us completely independent looking for a community that offers a variety of optional services, while others will move in looking for a full complement of Alaska Assisted Living or Memory Care services. 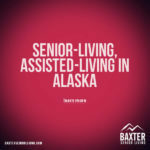 In most cases, wherever you are at in your retirement journey, Baxter Senior Living will offer an Anchorage senior housing option that helps enrich your life. Learn more about us and our assisted living community! 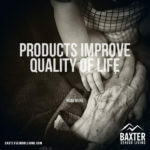 Once open and you’ve experienced Baxter Senior Living Community for yourself, you’ll come to know we pride ourselves on the abundance of choices we will offer to our assisted living residents. Some will come to us completely independent looking for a community that offers a variety of optional services, while others will move in looking for a full complement of Assisted Living or Memory Care services. 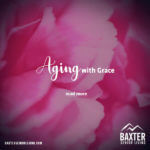 In most cases, wherever you are at in your retirement journey, Baxter Senior Living will offer a senior housing option that helps enrich your life. This community is proudly managed by Paradigm Senior Living, a national assisted living and senior housing property management company that provides management, senior living marketing, development services, market analysis and feasibility consulting and advisory services to clients across the country since 1994.